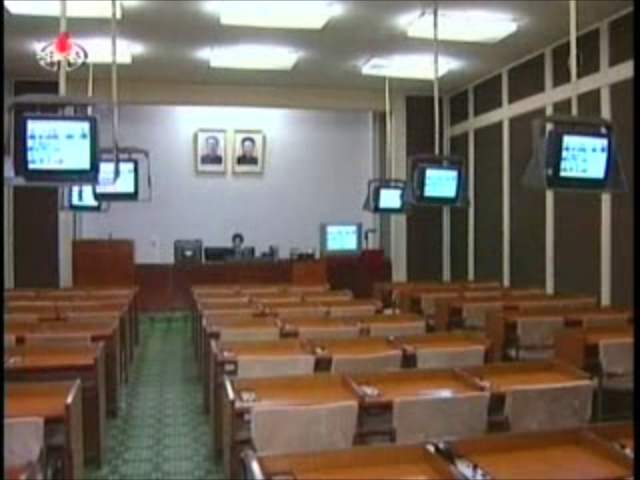 The North Korean media have made some noise in the past few months about a new distance-education system. 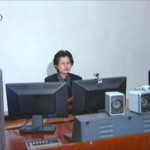 There have been several reports on KCNA about the system and in late November it featured on the evening KRT News. I pulled some stills from the television report that show the system in use. 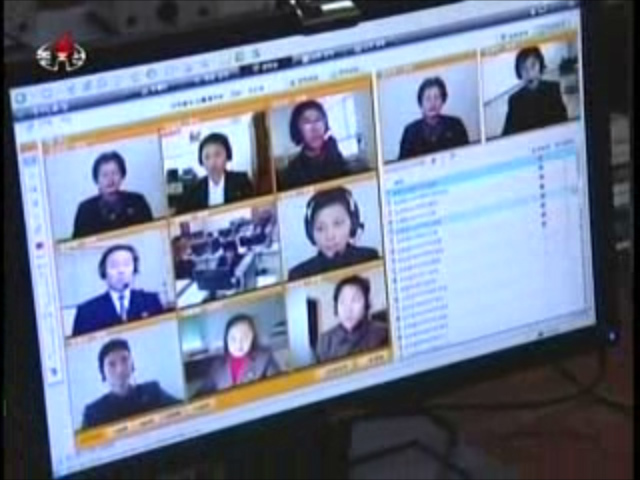 In the screens shown, the lecturer can see up to nine video images of students taking the class and monitor their own image. The student appears to see two images: their own and that of the class. Another window shows slides and supporting documents. The system works on computers regardless of operating system, according to an earlier report. The KRT footage I have isn’t clear enough to give away the operating system in use or many other details of the software. 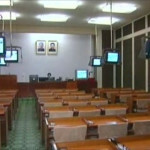 It’s being installed in provincial People’s study houses and libraries, according to a previous report, and being used to deliver lectures from the Grand People’s Study House in Pyongyang. Locations are interconnected by optical fiber. 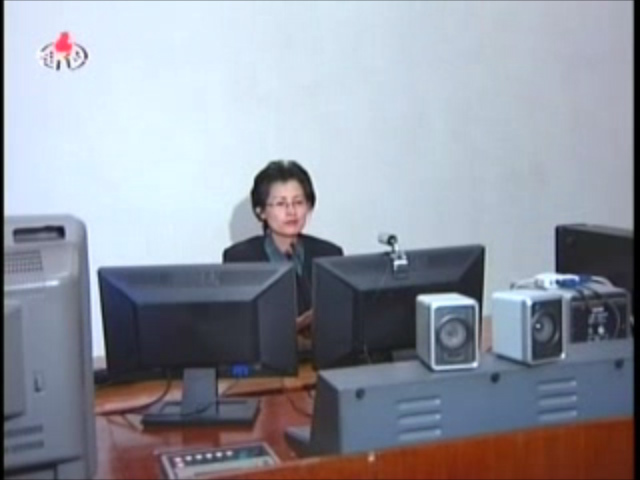 The new network was inaugurated by the Grand People’s Study House and the Joint Information Institute of the State Academy of Sciences, according to KCNA. 1 Comment on "A closer look at the e-learning system"